Baby T. rexes measure approximately 10 inches long, and stand naturally at about 4 inches tall. 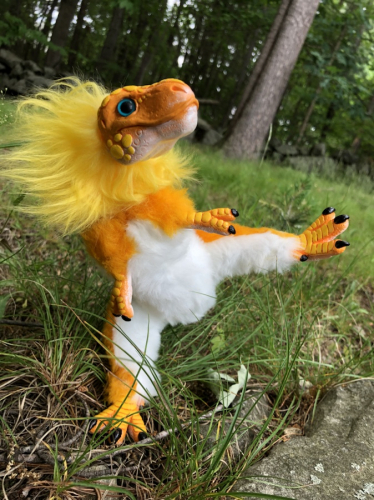 They are designed with such perfect balance that they can even stand on one foot to do kung fu poses! These little balls of fluff are the perfect size to sit in your lap for a cuddle, or to keep you company on a trip. 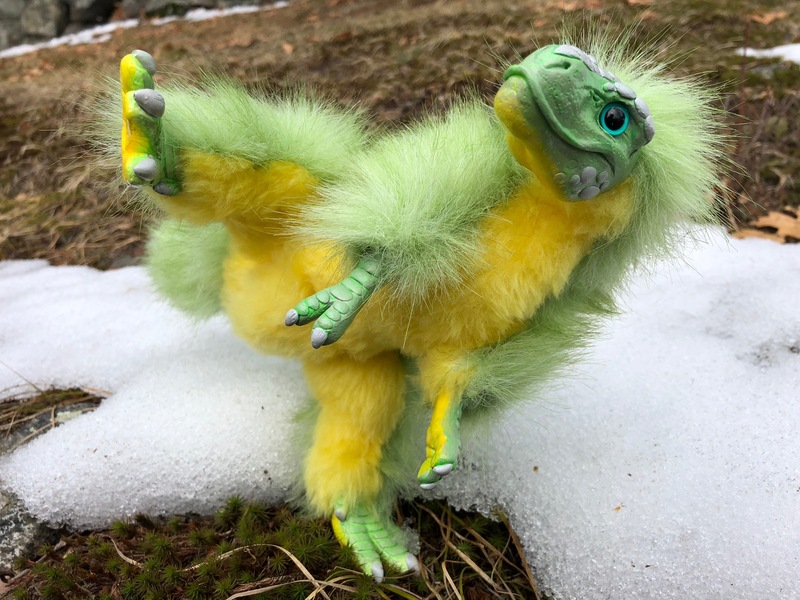 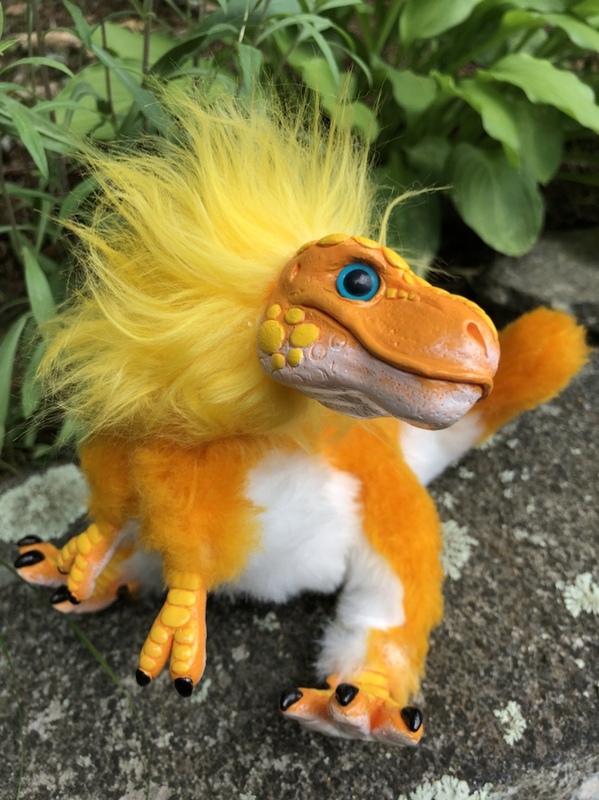 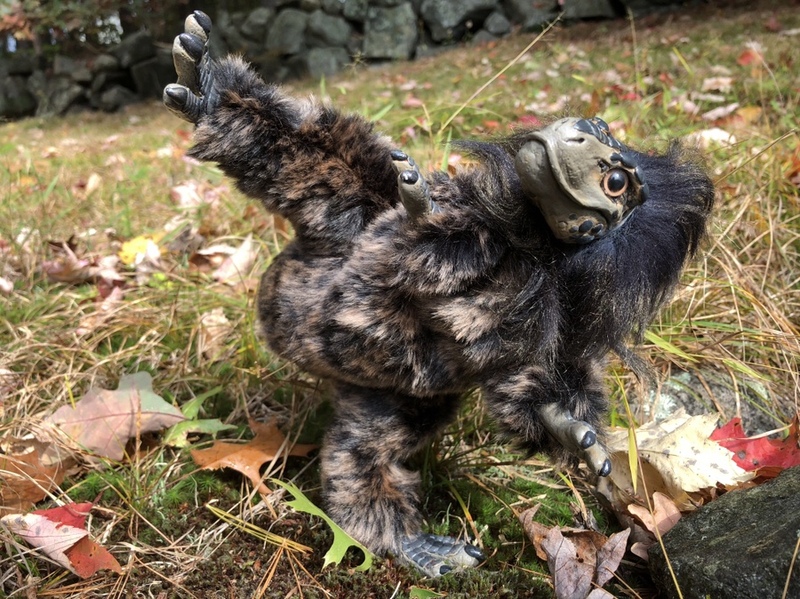 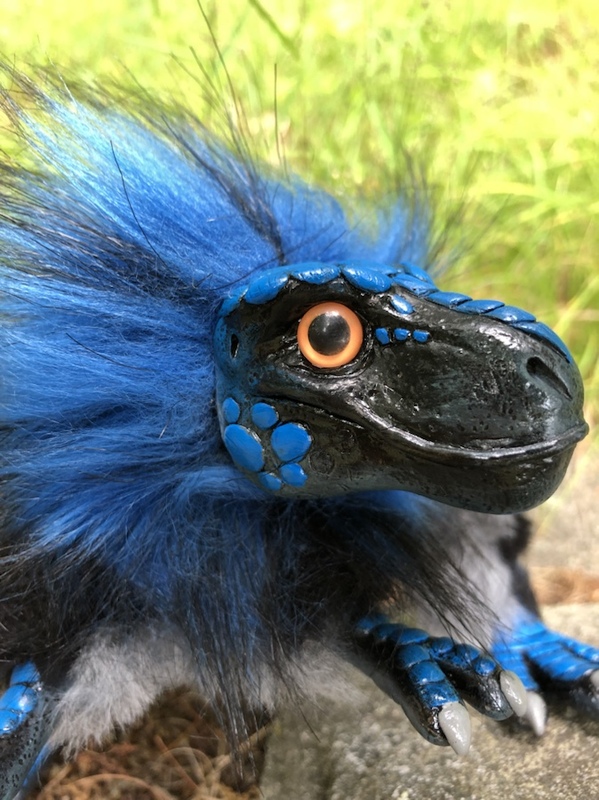 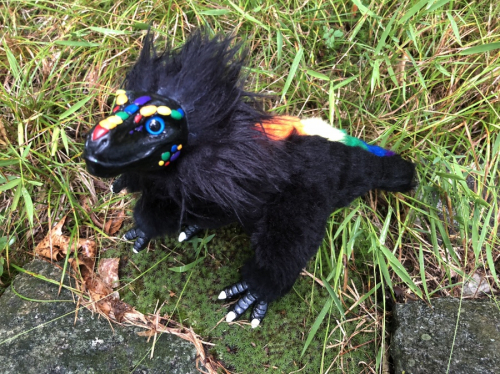 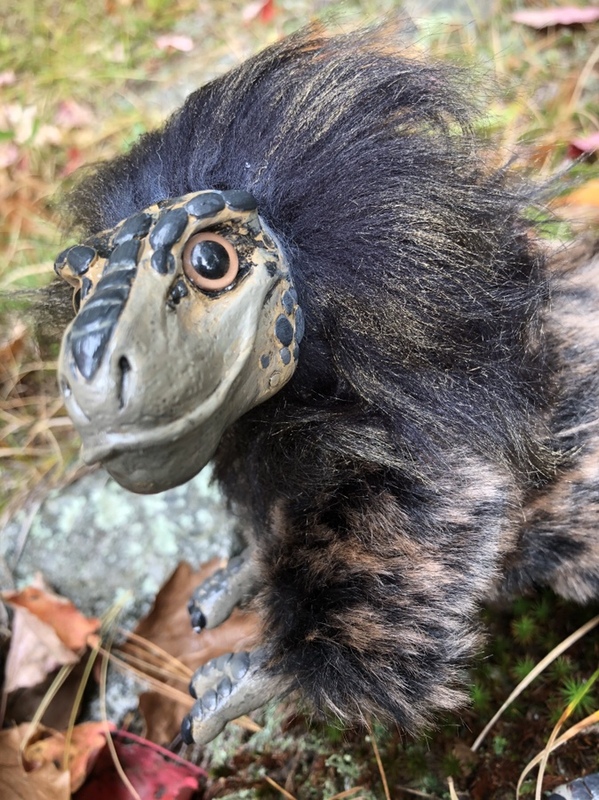 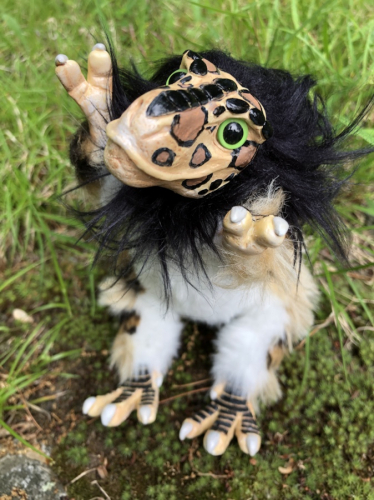 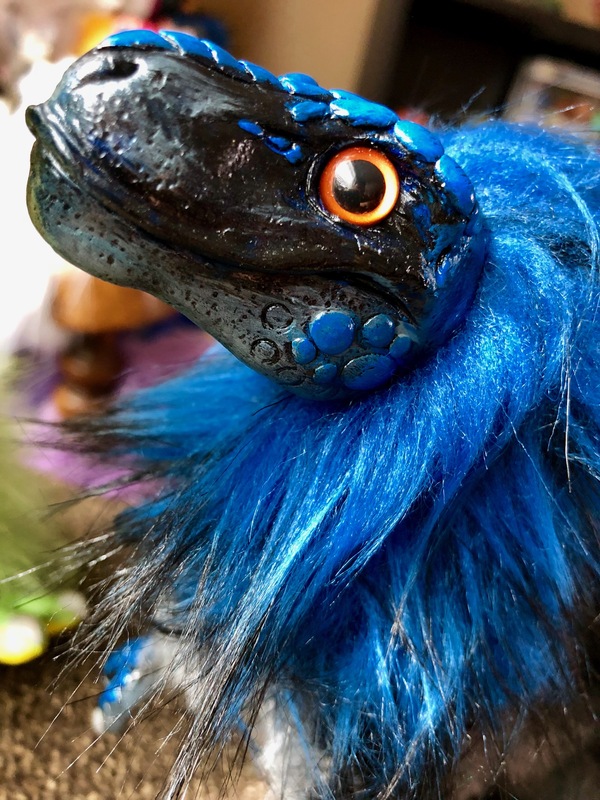 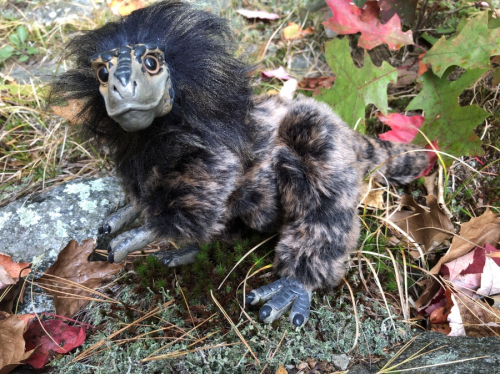 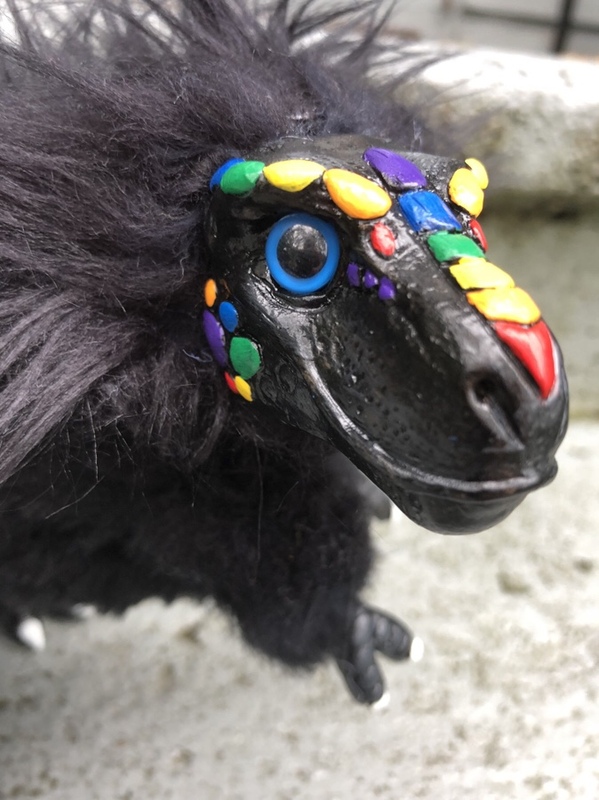 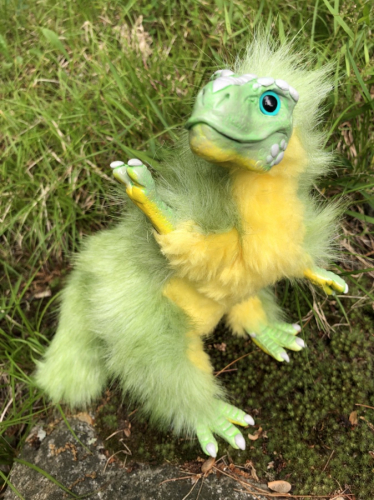 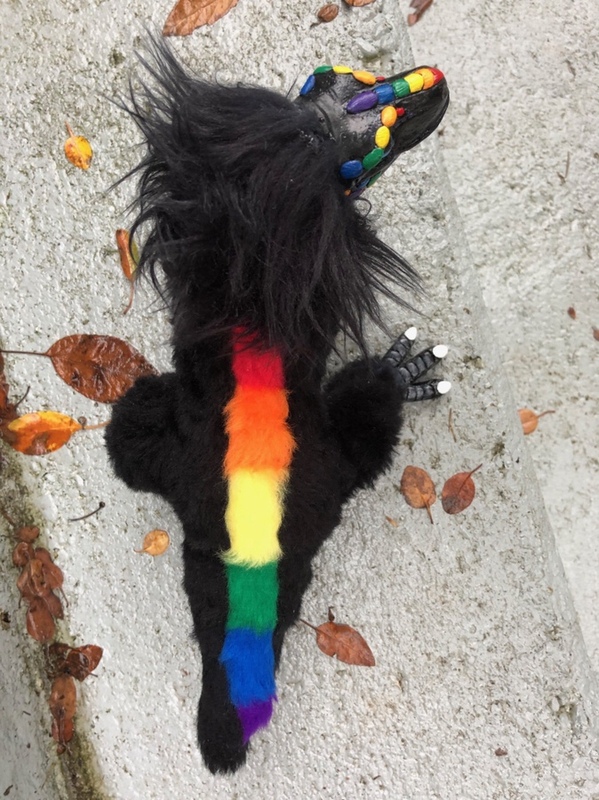 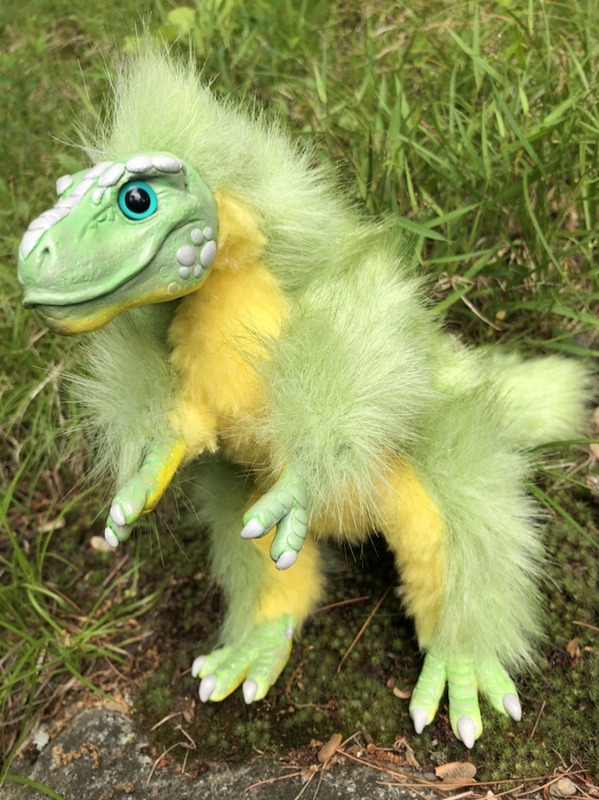 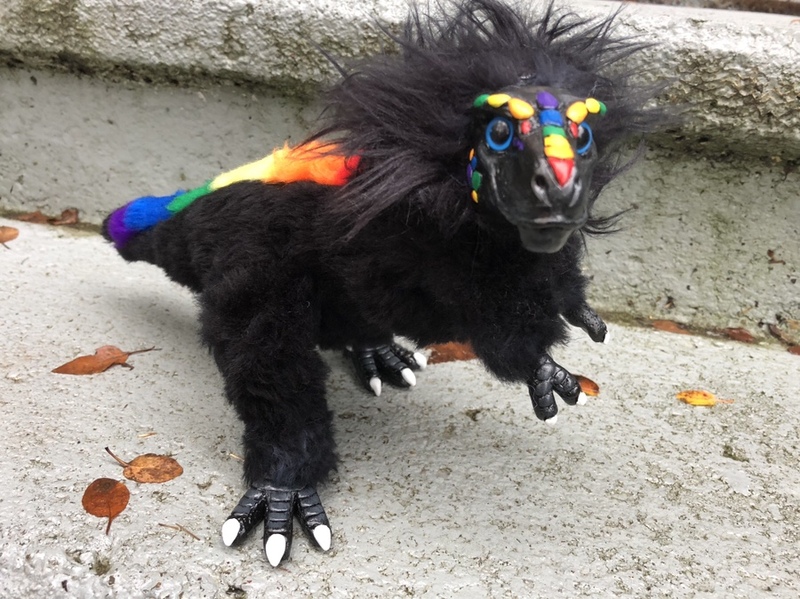 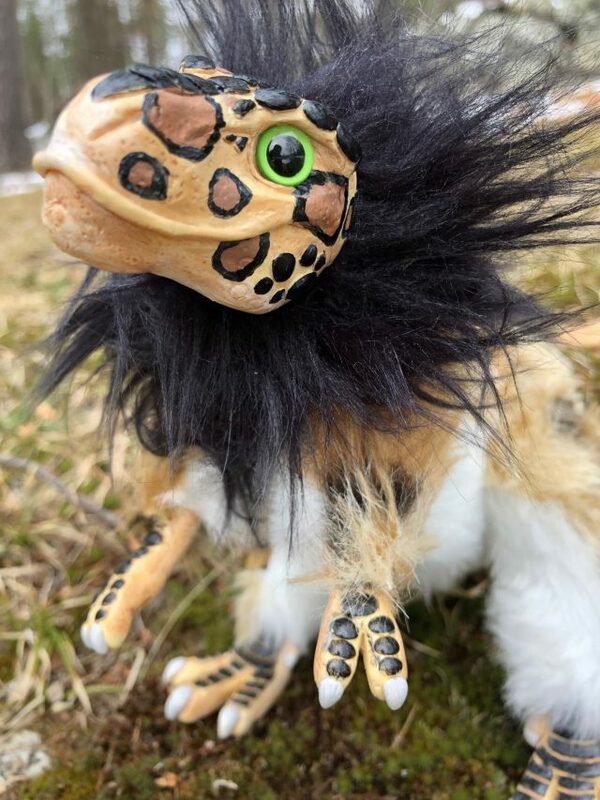 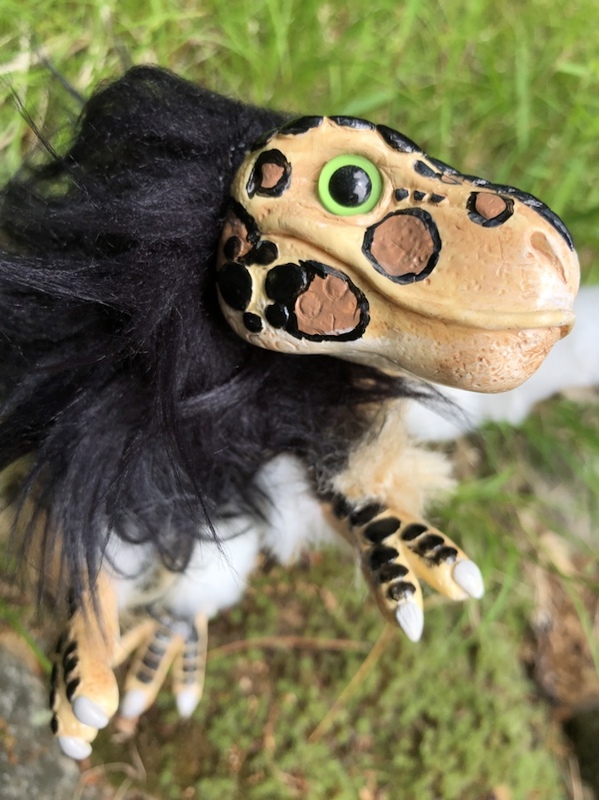 Custom Color T. rex Hatchlings are $115. 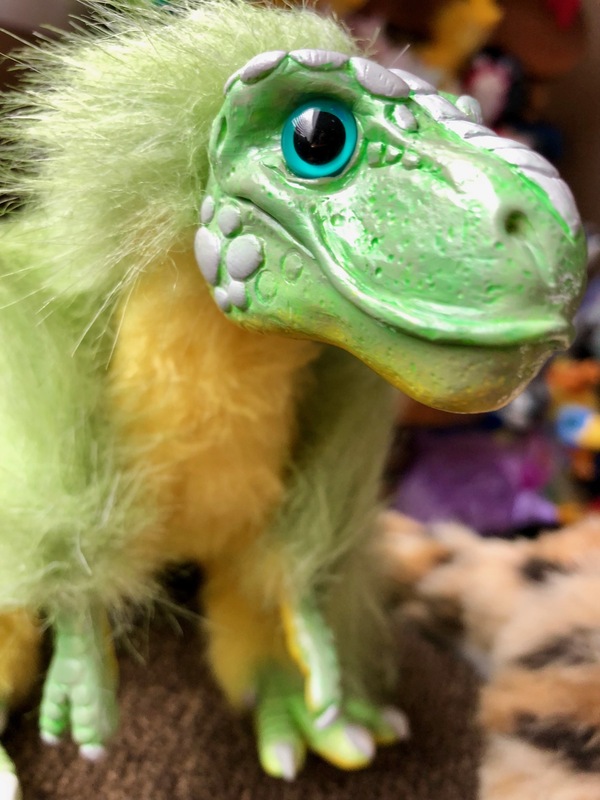 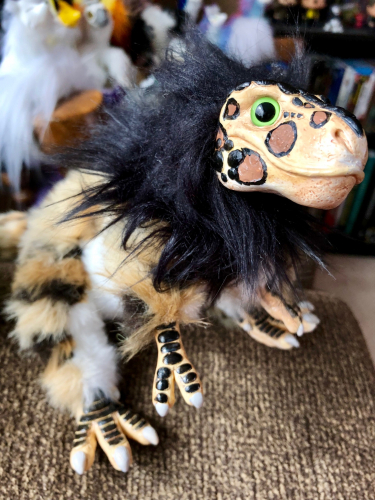 Visit the my shop to see what T. rexes are currently up for adoption!